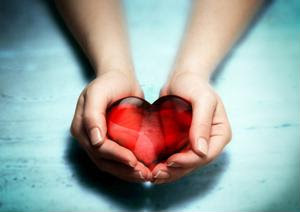 This month, give some extra attention to your heart - and not just on Valentine's Day. It's American Heart Month, which is a time to think seriously about you and your clients' cardiac health and what you could do to improve it. There are many goals you and your clients may choose to set this month, from better blood sugar control to simply replacing salt in your cooking with spices instead. You can take a number of small steps to better heart health for yourself and for those for whom you provide senior care. February may also be a good time for you to schedule a heart health checkup for your clients. Simply knowing where they stand in terms of cardiac wellness now can help you and others involved in their care make a plan to preserve or improve their health in the future. You can schedule such an exam with your clients' primary care physicians, though those who see cardiologists may be due for an appointment with those providers as well. With a few small changes every day, your clients can take care of their hearts for years to come.